Prime Minister Theresa May delivered a speech in Florence on Friday, Sept. 22, that proposed continuous contributions to the European Union (EU) during an implementation period. Demonstrators gathered outside the Santa Maria Novella church, protesting against the political consequences that could give momentum to nationalistic, anti-migrant sentiments and far-right policies. The long-anticipated speech comes months after the contentious Brexit referendum, a vote fracturing Britain between Pro-Brexit advocates––those framing their resistance on the basis of salvaging and restoring the country’s identity––and Brexit opponents, those cautioning against the economic ramifications a withdrawal will bring. What defines the Brexit controversy is a salient barricade over which nationalistic values to prioritize. The vital question, however, is how much it will cost Britain. In a quid pro quo, Mrs. May proposed a security partnership that highlighted Britain’s role as a defense measure, offering legal safeguards to ensure the rights of EU citizens in Britain. “Where there is uncertainty around underlying EU law, I want the UK courts to be able to take into account the judgments of the European Court of Justice with a view to ensuring consistent interpretation,” May said. May sought to refute the notion that Britain will become a house divided against itself. The decision to deliver the speech in Florence was strategic in presenting an image of progress. Florence, fostering the Renaissance and epitomizing the European culture, also has a history as a successful trading nation. But many condemned the speech. While it energized the Brexit hard-liners, the ambiguity following her proposals further divided her cabinet and Conservative party — members already unsettled by Britain’s emancipation. European Union negotiators have remained adamant, refusing to discuss post-Brexit ties, stating that progress will only be made once the issues they consider a priority are magnified (i.e. the status of EU citizens after Britain’s departure in 2019, Britain’s economic contribution to the bloc, and the border between Ireland and Northern Ireland). “It was a decision made thanks to the rhetoric, the anger, the fear of immigration,” said Giulio Berrino, an Italian student studying law. “I do not want our partners to fear that they will need to pay more or receive less,” May said. 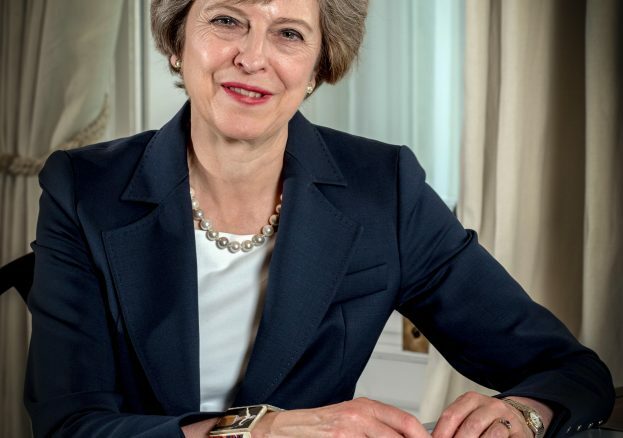 By proposing a two-year implementation period, she echoed her vision for the UK, EU’s “strongest friend and partner.” This would prolong the status quo and solicit an extra contribution of 20 billion euros, potentially harming Britain’s economy. of issues: the reemerging urgency behind Euroscepticism, immigration, and the cultural nostalgia that resents Britain’s bygone sovereignty. reversion to the past,” said Robert Null, a U.S. student that studied Political Science. cherry pick sections of the EU membership. unity between Britain and continental Europe, hoping that it would lubricate future discussions. Falcone, Berrino, and Null –– Brexit is a black hole. In this political game of chess, time is of the essence. The question becomes whether Brexit will trigger a checkmate of division or accomplish what May has envisioned. This will be defining for Europe.